I hate it when simple projects turn ugly. 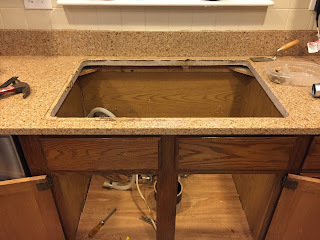 The task: Replace the kitchen sink with something more modern while at the same time replacing the dysfunctional garbage disposer. The timing: Get it done before the Mother's Day weekend arrives. The problem: No good deed goes unpunished. So there are now three kitchen sinks in the house. The one that used to be installed in the kitchen, the one that I bought and the one that Chris bought because she liked it more. Just a note--the one that I bought fits nicely into the hole. 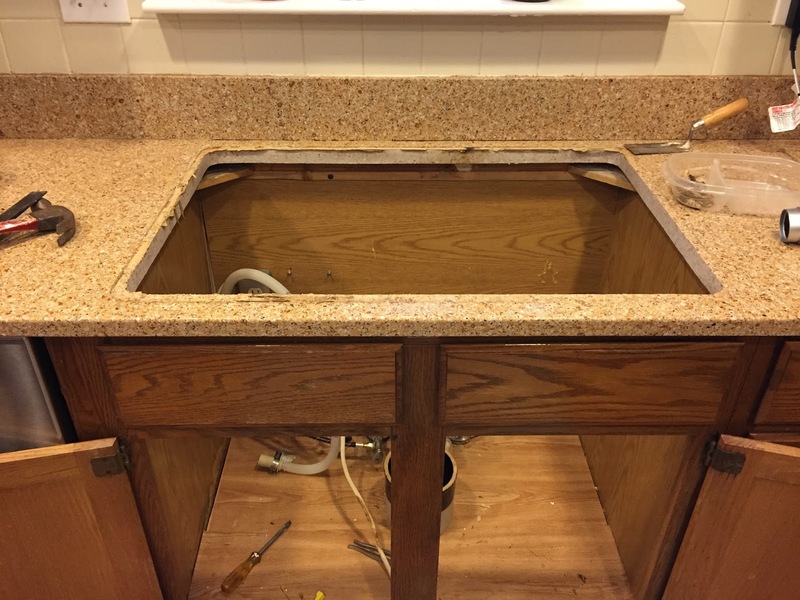 The one that Chris bought should fit into the hole in the counter, however, it has mounting rails underneath that are 1/4 inch too big for the existing space in the Silestone (fused quartz) countertop from which the preexisting sink was removed. I do not feel equipped to cut fused quartz! The kitchen is a mess with pieces of faucet everywhere! I had hoped to finish the project yesterday afternoon before going to the Orioles game. That did not happen. Who knew that there are mounting raise under stainless steel sinks? Why are they 1/4 inch too big for the existing hole when the sinks are the same size?? This has turned into another project gone wild! I wish I knew how this was going to shake out, however, I fear that I will be on a frantic search for a sink during the next few days.